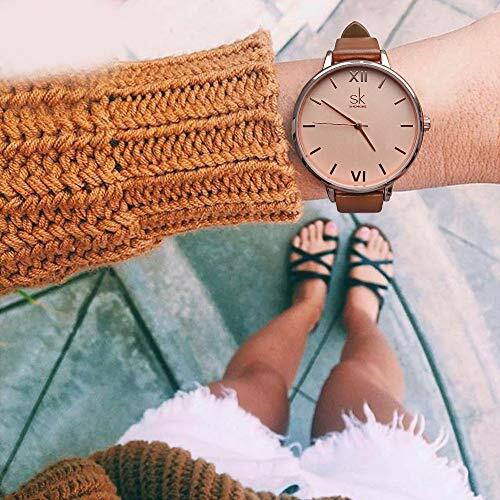 【Stylish and Affordable:】Cute and fashionable looking will add simple elegance to your accessories, it goes with multiple outfits and occasions.Big Face Watch diameter is 1.5in,It’s lightweight also, won't feel heavy or sweaty. 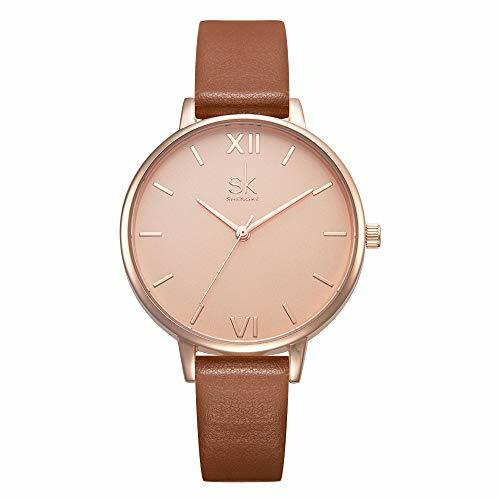 【Clear Line Easy Reading:】Rose gold and silver line in dial is very easy to read, quartz keeps time correctly with display Japanese analog,3 years-life battery, smooth stainless steel back cover. 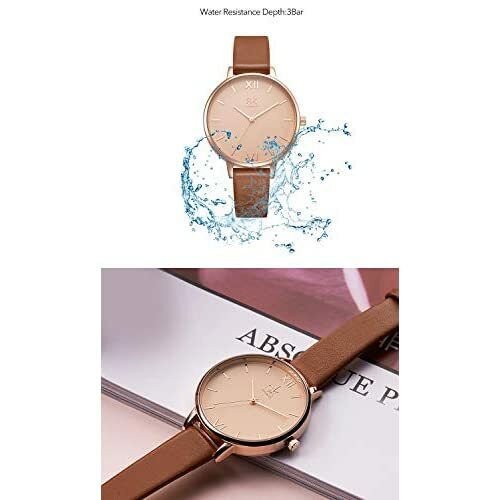 【Waterproof and Sleek:】Waterproof depth 3 bar with stands splashes or brief immersion in water, but not suitable for swimming and shock resistant. 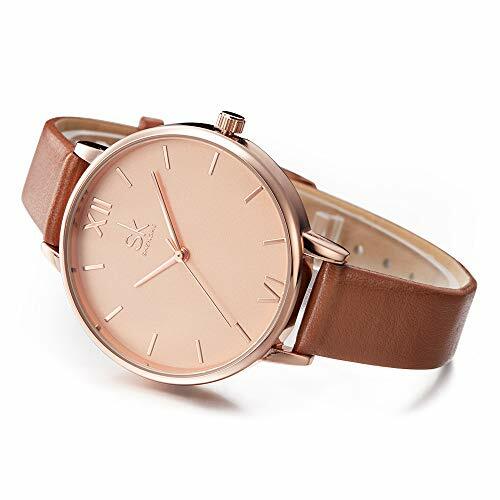 【Comfortable Slim Leather Band:】Hole buckle designer is easy to put on or take off and it has a very comfortable wearing experience, watch band length:8.7in width:0.5in. 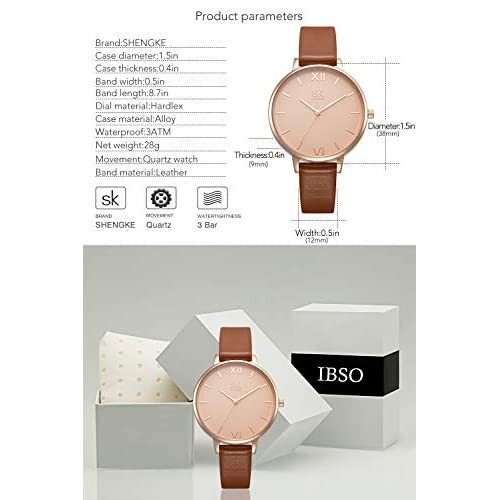 【Wonderful Gifts for Women: 】It comes with nice gift box, it can be a perfect gift for women on Wedding, Prom, Parties, Birthday, Christmas,Valentine's Day, Mother's Day or Anniversary. 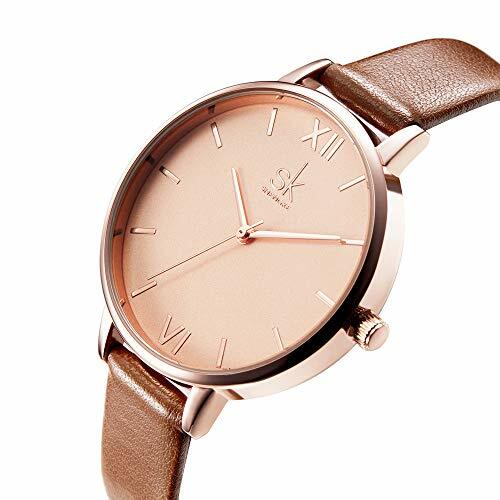 watch length, watch width, dial diameter and other size and combine with your wrist size. 3.Hole buckle is easy to fit your wrist. if you’re looking for a satisfied big face watch for women, I think you’ve found it. WHY NOT BUY IT NOW? 1.Please Don’t Press Any Buttons Under Water. Also avoid use in extreme hot or cold temperature. 2.Highly recommended that clean the strap with a soft cloth on regular bases. 3.Too much water contacting will make the watch life shorter.